When an author sits down to begin writing a novel it’s hoped the reader will enjoy the tale being spun plus find it a satisfying read, perhaps even find inspiration from one of the characters portrayed. It’s a happy surprise (for any author) to learn a reader has been prompted to ignite their own creativity and create something in their own artistic medium based on something I’ve written. Meet three of my readers who tapped into their creative juices after reading my book, The Queen’s Dollmaker—from my early historical fiction collection. This early collection is no longer available new in print format (you may be able to find a used print copy) but with the availability of digital books can be purchased as a Kindle eBook on Amazon. Drawing inspiration from The Queen’s Dollmaker in April 2011, Margaret designed The Queen’s Dollmaker Cuff bracelet. Residing in Borneo Malaysia, Margaret finds a sense of happiness in jewelry making which allows her to experiment with colors, texture, and materials. She is drawn to the old-world charms with inspirations found from the eras of Renaissance, Victorian, Art Nouveau, and 1920s. 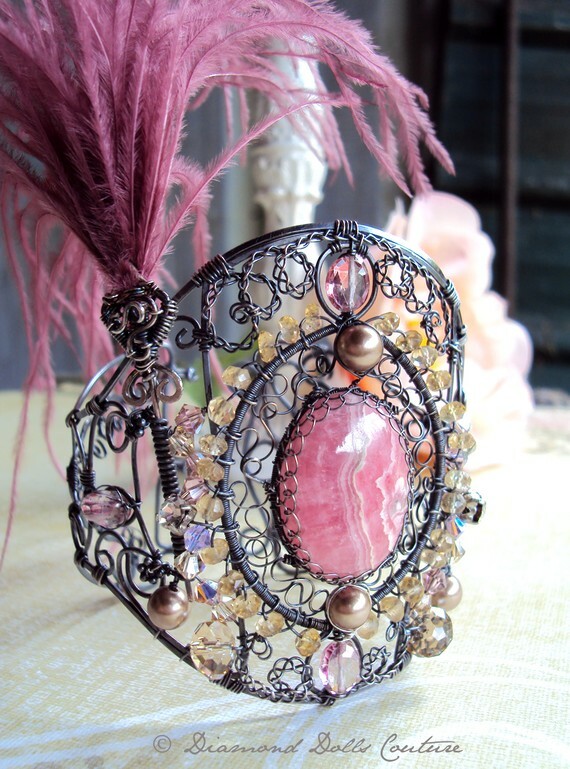 It’s an honor to have had one of my books be a source of inspiration for this divine cuff. 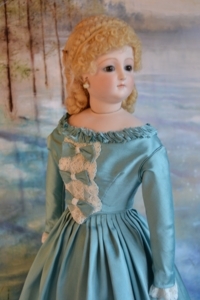 In 2013 Maryland doll collector, Lynn Buonviri created this doll, based on the cover of The Queen’s Dollmaker. Notice she even posed the doll according to the cover. I believe Claudette Laurent would be pleased with Lynn’s dress interpretation. 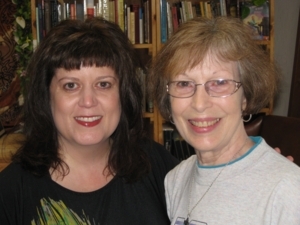 Lynn is a genealogist, historian, and writer, in addition to being a doll collector. She has researched and written on the legends surrounding Moll Dyer, a 17th century Maryland woman accused of witchcraft. 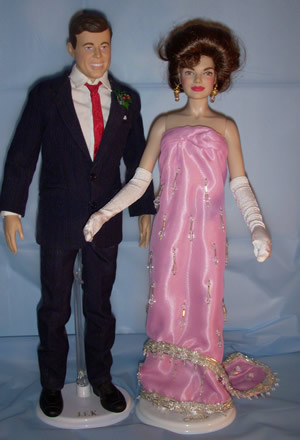 Reading about the dollmaker inspired Carol Ann to share photos of the lovely suit and gown she sewed for her JKF and Jackie Kennedy dolls, 2012. Notice the fine details—from John’s boutonnière to the beading on Jackie’s gown. Beautiful handicraft, Carol Ann.